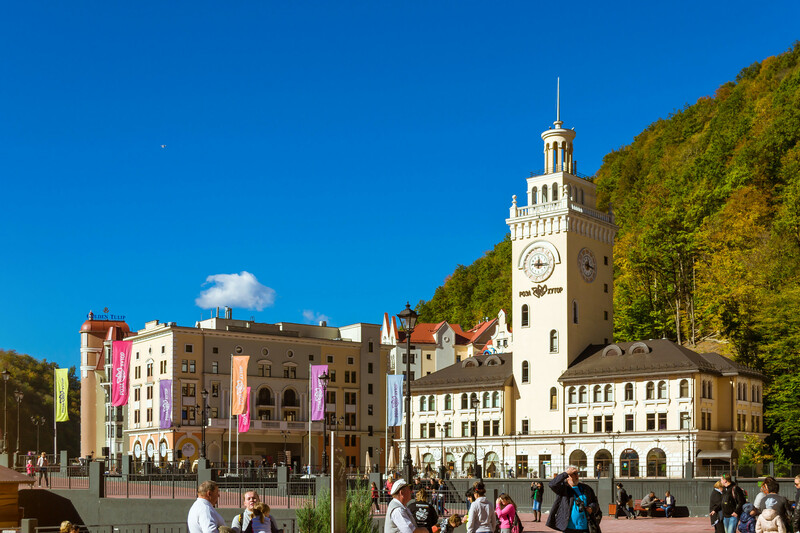 Sochi and its surrounding region finally became part of Russia just over 150 years ago, in 1864, after decades of war with the Turkish (Ottoman) empire and tribes living in the Caucasus highlands. 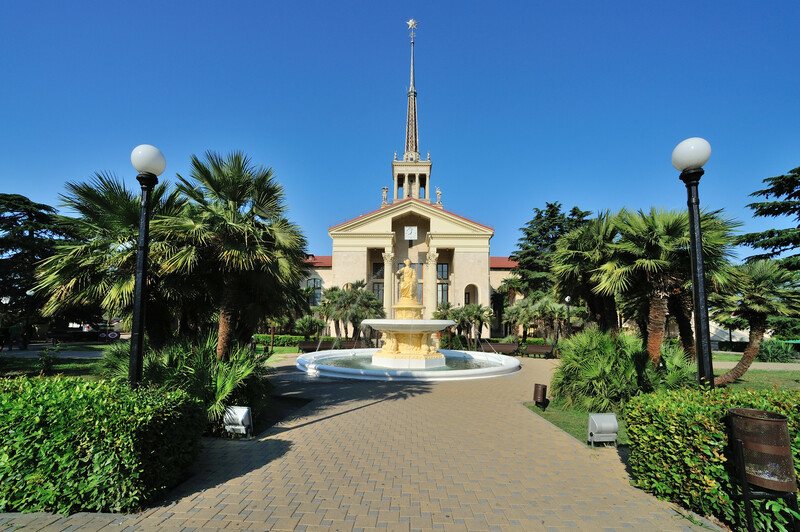 The royal nobility loved the region, with its healthy water springs, and the first Russian sanatoriums were built along the coast. After the Russian revolution in 1917, the working class received rights for holidays, promoted by Lenin. 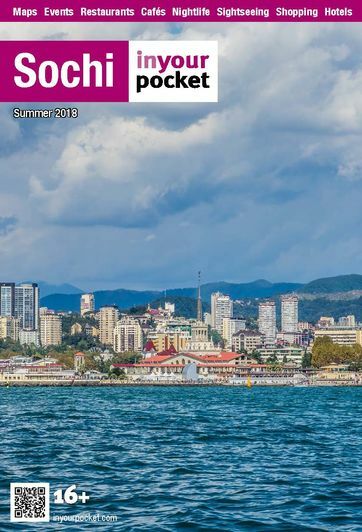 Sochi became the favorite holiday destination of Stalin and he visited the Black Sea for a few weeks every year. 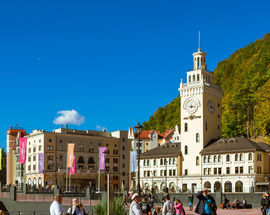 You can visit his dacha in Sochi, which is located near many other Soviet sightseeing spots, such as the Lenin mosaic. 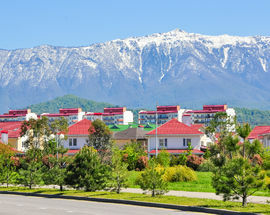 In the 1960’s, Sochi, and the whole Black Sea coast, was developed in to one big holiday resort. 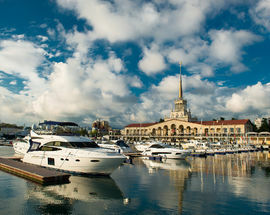 Forbidden to travel abroad, 50 million Russians went to Sochi every year, and the region was known by then as the Russian Riviera. 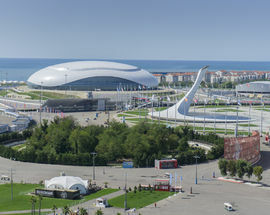 With the fall of the Soviet Union, and the possibility of cheap holidays to Egypt or Spain, Sochi decayed in the 1990’s and the region’s economy suffered hard. 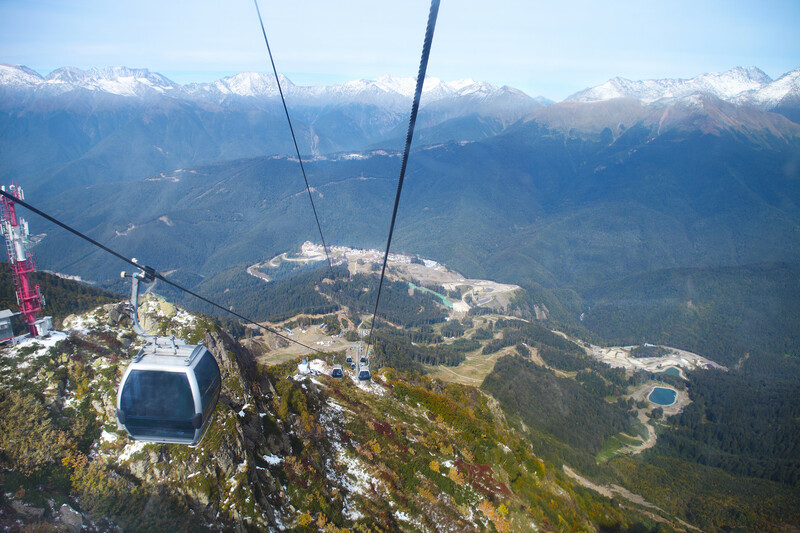 When Vladimir Putin, a sport enthusiast and big fan of skiing at Sochi’s Krasnaya Polyana, became the president of Russia in 2000, the resurrection and face-lift of Sochi began. 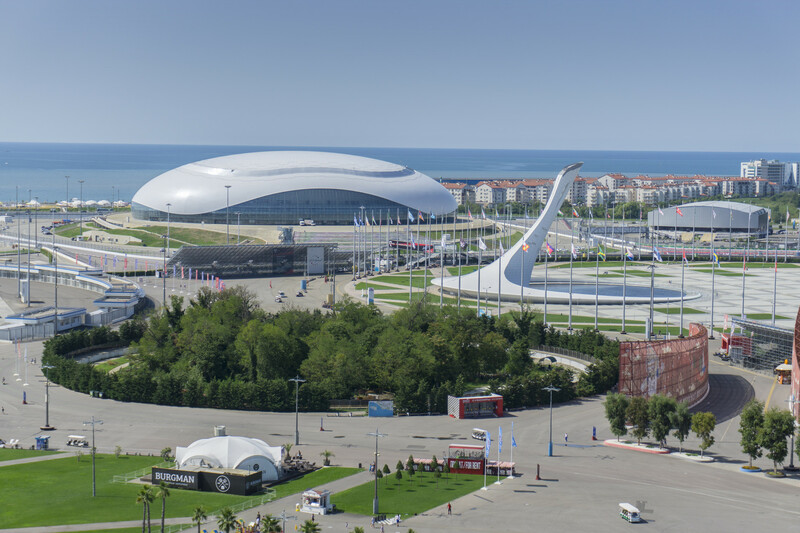 In 2007 the city won the bid to stage the Winter Olympics in 2014 and this saw the stagnating beach town transform into a world-class sporting mecca. 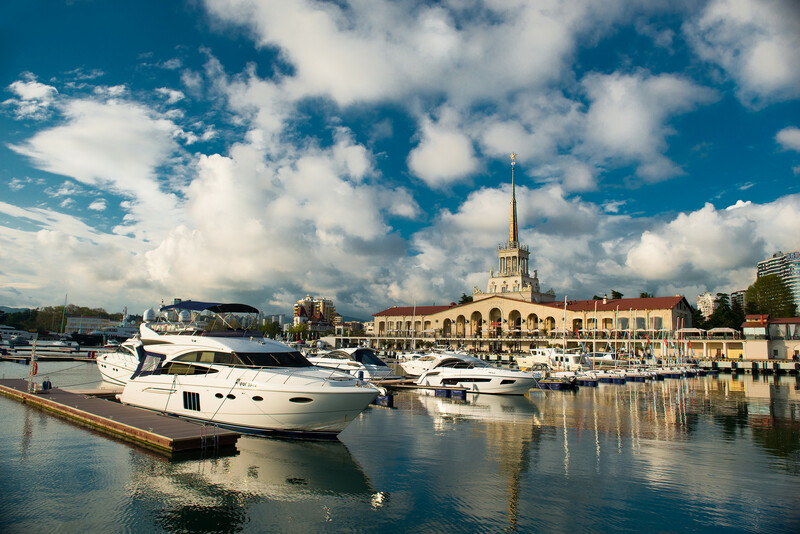 Today, the “Black Sea Pearl” attracts more than four million visitors annually with its amazing mountainous coastline, endless shingle beaches, warm sunny days and stunning sunsets. In summer, coastline nightclubs pump out booming baselines from dusk till dawn. 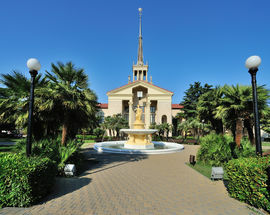 Away from the embankment, magnolia- and cypress-filled parks provide a fine setting for strolling. 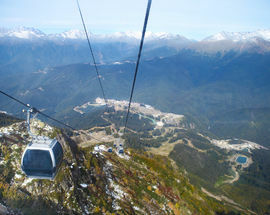 Nature lovers can venture to the Agura Valley, which offers easily accessible hiking amid waterfalls and sublime views.